The Gigabyte GeForce GTX 1070 Mini ITX OC graphics card delivers Titan X-beating power in an ultra-tiny form factor. Pour one out for AMD’s Radeon Nano. 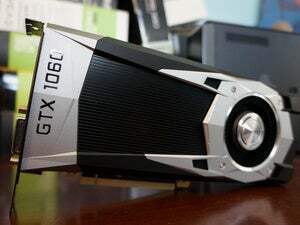 When we reviewed Nvidia’s new GeForce GTX 1070 graphics card, which offers Titan X-toppling power for just $380, we said the combination of it and the ferociously powerful $600 GTX 1080 effectively rendered AMD’s high-end graphics card lineup obsolete—unless you needed the $500 Radeon Nano’s mini-ITX form factor. Now Gigabyte’s announced a mini-ITX variant of the GTX 1070 that nullifies even that niche Radeon win. The GeForce GTX 1070 Mini ITX OC measures seven inches long, which is an inch more than the Nano, but still firmly in the mini-ITX and “damned-small” categories. The card features fairly minor overclocks (up to 1,556MHz core/1,746MHz boost, from the baseline 1,506MHz/1,683MHz), pushing the GTX 1070’s Nano-stomping performance just a wee bit further. 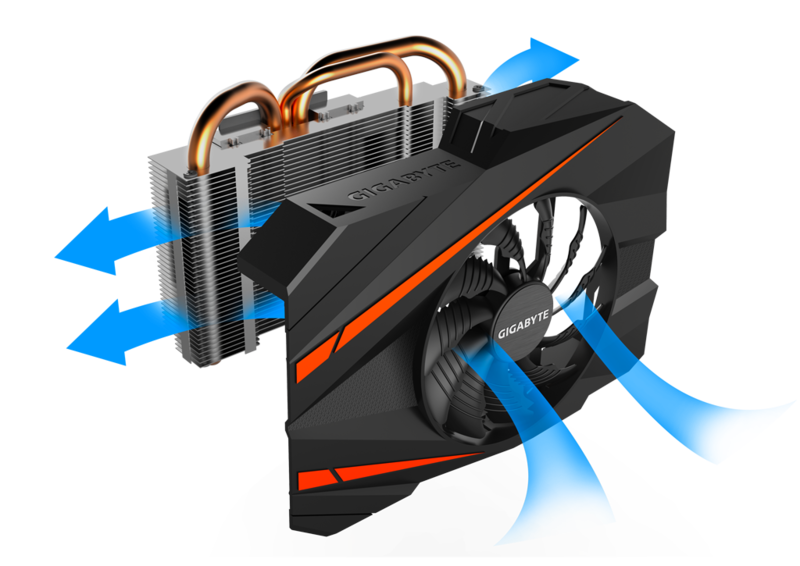 The itty-bitty card’s cooled by a single 90cm fan with custom-striped blades that Gigabyte claims improves air flow by 23 percent. (Even better: It’ll remain idle—and silent—when you’re not gaming.) That fan sits atop a heat sink imbued with three copper heat pipes “shaped to maximize the direct contact area to the GPU.” Every little bit helps when you’re cramming such a monstrously powerful graphics processor into a space so small. 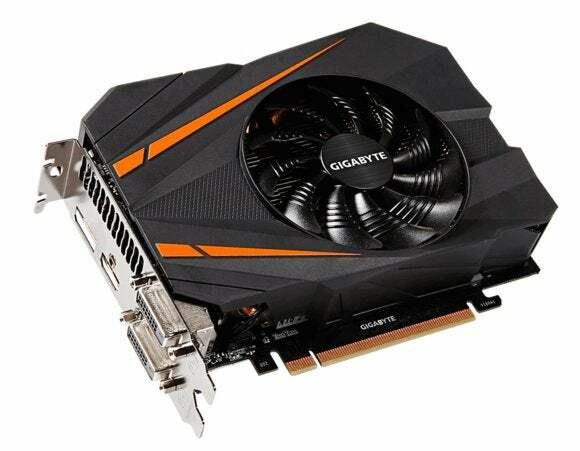 One bright spot for AMD: Gigabyte hasn’t announced pricing or availability for its mini-ITX card, and GTX 1070 stocks have been fairly limited over the past month. Nevertheless, the introduction of the GeForce GTX 1070 Mini ITX OC drives another nail in the coffin of AMD’s high-end lineup—and Team Red’s powerful new “Vega” enthusiast cards aren’t expected until sometime around the end of the year. 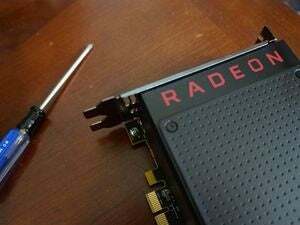 Fortunately for AMD, the $200 Radeon RX 480 rules the mainstream market for now. The story behind the story: When it launched last September, AMD’s Radeon Nano felt forward-thinking, like a harbinger in a world increasingly focused on cramming full PC performance into ever-smaller cases. It was the first mini-ITX graphics card capable of powering high-end 1440p and 4K gaming experiences, aided by the space-saving benefits of revolutionary high-bandwidth memory. But the industry’s evolved rapidly since then, and the introduction of Nvidia’s 16nm Pascal GPU has allowed Gigabyte to catch up to—and surpass—the Radeon Nano’s unique blend of power and compactness, although the Gigabyte card still uses traditional GDDR5 memory that needs to be splayed out across the card’s circuit board rather than stacked like HBM.